Se il mercato complessivo dei Media è in calo del 5%, sull’onda del -10% registrato dai media tradizionali, i new media digitali continuano a crescere: più 3 %. Ma è soprattutto il New Internet a spingere la crescita dei media digitali: più 90% nel 2012. È quanto emerge dalla fotografia scattata dall’Osservatorio New Media & New Internet della School of Management del Politecnico di Milano. I dati della ricerca, presentata a Milano presso il Campus Bovisa in occasione del Convegno “New Internet +90%: inizia a delinearsi il nuovo scenario dei Media”, mostrano come canali Video online, Social Network, Applicazioni, Smartphone e Tablet possano diventare il motore del cambiamento del mondo dei Media. Aggiunge Riccardo Mangiaracina, Responsabile della Ricerca dell’Osservatorio New Media & New Internet: “La crescita dei New Media è stata supportata da quella del digitale terrestre, il cui mercato registra un +6%, e da quella di tutti gli Internet Media, ovvero tutti i media digitali veicolati attraverso Internet, che hanno ottenuto un incremento del mercato pari all’11%”. E infatti il mercato media abilitato dal New Internet – Video online, Social Network, Applicazioni, Smartphone e Tablet – cresce del 90% nel 2012. Il mercato delle app in generale ha invece riscosso ottimi risultati: nell’ultimo anno sono state 800,000 le app scaricate. Il 70% ed il 64% degli utenti rispettivamente di Tablet e Smartphone scaricano e utilizzano applicazioni su questi dispositivi: ne installano mediamente 29. Tra queste, quelle utilizzate nell’ultimo mese sui Tablet sono 15, mentre sugli Smartphone sono 9. Già il 25% delle testate è entrato in questo canale, per un totale di circa 750 app. How long will BURBERRY’s success last ? From the live 3D broadcast of its fashion shows online and in the major flagship stores, its the leading position on Facebook being the most ”liked” brand, its very well targetted advertising campaigns to the ”democratic luxury positioning”, Burberry has been the most successfull luxury brand of the past three years, defying the international financial crisis and posting double digit growth. Burberry’s management has made smart decisions in investing heavily in revamping its retail network as well as expanding at a staggering rate. The company recently purchased its licensed stores in China to operate directly and further expand in the fastest growing luxury market in the world. Another winning factor in Burberry’s success has been the idea to feature all its lines under one store concept, instead of separating the different lines. The careful choice of the franchise partners has also played an important part in the impressive expansion strategy of the past three years. 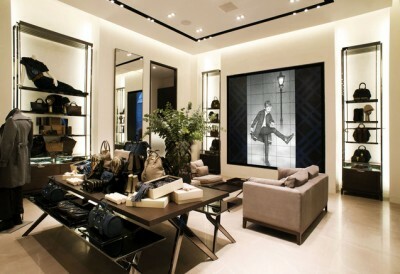 Burberry is the first major luxury brand to open a mono-brand store in countries such as Serbia, Egypt or Israel. Christopher Bailey, Burberry’s creative director as well as current CEO Angela Ahrendts and former CEO Rose Marie Bravo are all credited with the current success of Burberry. Christopher Bailey has been diversifying the product line, reinventing the ”British classic” styles, while the company’s management made an excellent job with the ”democratic” positioning of the brand, which has ”allowed” Burberry to sell mostly ”Made In China” products at relatively high prices considering the actual production price, while other major competitors could not ”afford” the Chinese production which would damage the brand. The company is owned by an investment fund which is now taking advantage of the skyrocketing sales to try and sell the company at the highest price possible. While major luxury industry players such as Gucci Group and LVMH have been rumoured to take over Burberry, it is more likely that a major Chinese or Middle Eastern investment fund to take over the brand as early as the end of 2011. But just how long can this success last for Burberry, especially for its current business model and creative direction? Over half of Burberry’s retail network is represented by stores opened within the past 2 years and all of them are in emerging markets, and we all know how important newness and availability of the brand locally is, especially in emerging markets. Then it comes to the question of how long the brand will maintain its attractiveness and how will its customers value it in the long term. The ”democratic luxury” positioning, although it may have a very possitive message during the current recession, it remains to be seen how the consumers will regard it once most of the international market will have recovered from the recession. This positioning has also meant that Burberry’s direct competitors are not Gucci, Vuitton or Prada but rather Emporio Armani, Miu Miu, Just Cavalli or D&G. With the exception of Emporio Armani and Miu Miu, the other brands have much smaller sales than Burberry and implicitly a smaller retail coverage. Then, there is the issue of exclusivity which is the core essence of any luxury brand and how exclusivity will remain instilled in the minds of consumers, despite the availability of the brand and consumer profile. Globalisation has been playing an important part in Burberry’s success, yet how muh is the brand ”in control” of its local segmentation and consumer profiling. One such issue was faced by Burberry in its home country back in the early 2000′, when its distinctive check had become the uniform of the ”chav”, the stereotypical white working class delinquent looking for trouble. Bouncers and taxi drivers learned to turn away young men sporting Burberry baseball caps and jackets. When Daniella Westbrook, a soap actress, was photographed with the Burberry check adorning herself and her daughter the reputation of the brand seemed to be lost. Many consumers seem to have forgotten Ernest Shackleton who wore Burberry on his Antarctic expedition more than 100 years ago. Why creative direction is so vital for the success of a luxury fashion brand? The unstable international economic environment of the past 4 years, with emerging markets playing an increasingly important role for the luxury industry, has been proving most challenging to many players. Some of the major international luxury brands who were early entrants in emerging markets are now realizing that building a large retail presence may not, afterall, be the winning recipe, are realizing the opposite. Is therefore a large retail presence an indicator that the respective brand has actually understood and adapted its strategies to the local market? Many recent examples prove they have not and are now stumbling by taking hasty decisions. When Louis Vuitton reported last month its lowest sales growth since 2009, many analysts have jumped to the conclusion that the main reason behind this slowing performance is the excessive number of stores, such a wide availability having erroded the brand’s luxury positioning and indirectly, its desirability. The company’s owner Bernard Arnault has indirectly admitted to the excessive retail presence and added that logomania is also to be blamed. As an immediate measure, Arnault announced a virtual freeze of international expansion and introducing more subtly branded products. In a company such as Vuitton, with probably the most sophisticated corporate structure among all major international luxury brands employing an army of middle and top management (all holding an esteemed MBA), these sudden changes in the company’s strategy, dictated overnight by the company’s owner, clearly reveal its weaknesses and huge vulnerability. It is well known that, despite its this highly sophisticated management structure, most retail development decisions for Vuitton, especially in major markets, were made by Bernard Arnault himself and CEO Yves Carcelle. They would very often travel together and take a decision based on their ”feel” of the market. This is how, without any research, Vuitton has created an oversized retail presence in major emerging markets such as India, China or Brazil. But what about the creative direction of the product? Observed from the outside, Marc Jacobs seems to have been given immediate instructions to minimize the use of logo, add more colour and develop less ”volume driven” products (luckily he did not accept the position at Dior – or maybe he was never actually considered but the rumours were intentional to heighten the clout around his creative talent). As for the interior design concept and the merchandising strategy of the Louis Vuitton stores, the company has made yet another risky move, by creating two different ”categories” of stores: the ”regular” stores which can be found in any mid size capital city (some of these Vuitton stores featuring only partial selection of products, i.e. only bags, shoes, accessories) and the ”Maisons”, larger stores with a wider range of products and an array of services exclusively available at these stores. The Vuitton Maisons are indeed distinct in terms of architecture, with spectacular interiors, exceptional finishes and works of art by contemporary designers. Unlike regular stores which have a very standard creative concept, each Maison is individual in interior design and architecture. If Arnault’s strategic long-term vision would be to close all regular stores and keep only the Maisons (which is hard to imagine), this would be indeed a most sensible decision. The scare of slower sales has impacted other major international brands, includingBurberry and Coach. Burberry’s response: larger stores, in store private events, opening separate men’s stores and women’s stores, but not a word on creative direction, which, in the past years has not only become predictable but has lost the luxury appeal that brand had when Angela Ahrendts took over as CEO. As for Coach, again no word on creative direction, i.e, looking into developing new styles but instead expanding into ready to wear and creating a ”total look”. I find this lacking any business sense. Although it still reported positive results in 2012 without without any significant slowing sales in China, Gucci announced recently it will not open any new stores in China in 2013, instead it would enlarge or refurbish some of them. However, similarly to Vuitton, Gucci is not putting creative at the top of its list of priorities when making strategy changes. Or maybe Frida Giannini already received the same brief like Marc Jacobs, but in her case, not from the owner, but by her boss and boyfriend, Patrizio di Marco. Therefore, we should expect less ”double Gs” and more colour?!? The same dormant ”bug” in terms of creative direction and predictability has taken overRalph Lauren too, which, instead of enforcing its luxury positioning by opening flagship stores, announced last week, it will once again, spread its countless Polo, Denim and other mid range label stores in 2013. As if the ‘Made in China’ controversy regarding the uniforms of the US Olympic team did not do enough damage to the reputation of the brand, last year, Ralph Lauren clearly shows it has not understood the importance of enforcing its luxury positioning. The fact that the company is not prepared to turn to directly operated stores, a winning proven strategy by many of the major players, although it does have the resources, indirectly suggests its priorities are still volume driven. Speaking recently upon its catwalk show at Milan Fashion Week, Prada‘s co-owner and creative director, Miuccia Prada said ”I design what I feel. I am already obsessed with this – there is so much control that everything is forbidden and you cannot abandon yourself in anything”. Of all, Prada Group, has proven to the whole corporate world that herself and her husband cand run a listed company with the same ease as they used to, before the listing. Indeed she would be the last person to say, from next season there will be less logo on bags. But how could the Prada family get away with it? It is because the brand continues to prove it has remained faifthful to its roots and it has not changed the way it creates products. That is probably why Prada has been defying the recent crisis growing at a double digit growth rate. And mention should be made, that Prada’s corporate structure is not even a tenth of Vuitton’s. PPR Group acquired iconic Italian luxury menswear house of Brioni last year and the first decision by the new owners was to double the existing number of mono-brand stores. But was it really the lack of retail presence that has put Brioni in a shadow corner for the past 5 years, even shying behind the much younger Tom Ford whose men’s line is often compared to Brioni? … Afterall, besides Italian craftsmanship and the fact that its suits are made by over 500 tailors in ateliers North of Italy, has Brioni been able to stick up to its reputation? While direct competitors (also family owned) like Ermenegildo Zegna or Canali have been focusing on creative direction and innovation (especially Zegna), the heirs of the Brioni family were busy feuding over the control of the company – not to mention, the gloomy memories of the Brioni women’s line, which was a complete disaster, not only because of its financials but also because of the damage it created for the Brioni brand. Valentino is probably the best postive example which illustrates the crucial role of creative direction. It is not because of Valentino’s acquisition by Qatars First Lady (last year) that the brand has been flourishing. 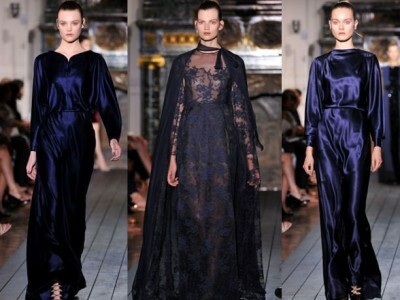 It is because, the creative duo Maria Grazia Chiuri and Pier Paolo Piccioli who, have succeeded in re-creating the Valentino elegance in a way that is REAL, the brand breathing a new elegance, which not even its founder ever expected again. Burberry to open in 2014 the ‘Burberry World Live’ flagship store on Rodeo Drive, L.A.
Burberry has announced it is opening its latest ‘Burberry World Live’ flagship store concept on Rodeo Drive. 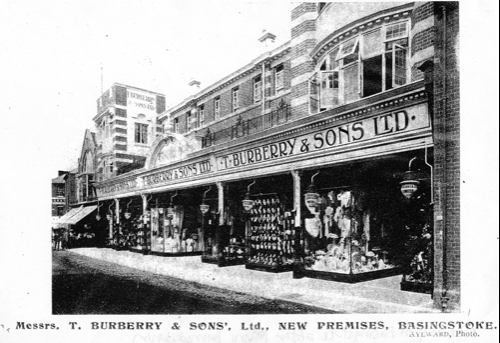 Burberry opened the first such concept opened last year London’s Regent Street, followed by Chicago. WWD says the Rodeo Drive store will feature in-store technology that can transmit Burberry’s live events around the globe; client service applications that enable real-time access to customer profiles and product information; and smart personalization, in which engraved nameplates on custom-made coats and bags unlock videos showing the production process, allowing these customers to view and order from a collection before it hits the stores. Other luxury fashion brands which have developed a set of such larger fagship store includeErmenegildo Zegna (Global Stores), Louis Vuitton (Maisons), mainly with the aim of maintaining a higher luxury positioning, countering excessive exposure through a large number of retail stores.